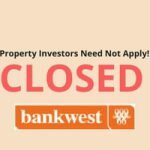 Will you lose money buying a Brisbane apartment in 2019? It will come as no surprise to anyone that the current market sentiment is not exactly positive. The confidence among property professionals has sunk to new lows according to the NAB Residential Property Survey from Q4 2018, but is it all doom and gloom? A closer look at the data shows that the New South Wales and Victoria markets are responsible for the majority of the panic, and the forecasts are predicting the worst is still to come for these major markets, with peak-to-trough declines of around 15% predicted for both over the next few years. Putting Sydney and Melbourne aside, Perth is also likely to see some further declines, but Adelaide, Hobart and Brisbane are predicted to remain largely flat. As investors retreat across the country, the market lies in the hands of owner occupiers and first-home buyers to pick up the slack. 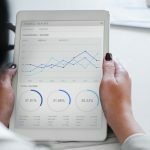 Although this trend is often blamed on the tightening of foreign lending restrictions for overseas investors, it’s the domestic investors that seem to be equally as culpable for the downturn. Property professionals in all states are citing this as a result of the banks full “crack down on credit”, regardless of the borrower’s country of origin. It’s important to understand that a decrease in price over the next few years doesn’t mean a overwhelming crash is imminent. For the East-coast markets, and specifically Queensland, the flattening market can be seen as a natural correction to the steep run-up in house prices over the last five years. NAB Residential Property Forecast Graph. Data and graph by NAB. When looking at the Australian property market as a whole however, it’s easy to see how investors may be panicking, especially when it comes to the NAB Residential Property Index. A measure of sentiment among property professionals based on expectations for Australian house prices, the Residential Property Index surveys nearly 300 property professionals, with these conclusions published in the recent Residential Property Survey Report. Within Q4 of 2018 alone, the Australian property market fell 11 points on the Residential Property Index down to -20. Even though market confidence in Queensland has decreased from 21 to 8 in Q4, the Sunshine State is the only area to report a positive reading, with an abysmal -28 for Victoria and -50 for New South Wales also recorded. NAB Residential Property Index by State. Data and chart by NAB. Solid population growth in Queensland, including a large chunk of interstate migration has attributed significantly to an increase in rental demand and the tightening of vacancy rates in Brisbane and the Gold Coast’s local property markets, and rental expectations for Queensland are looking more positive than any other state, with an increase of 2% expected. So what does this mean for prospective buyers this year? 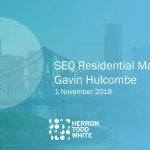 For those buying a Brisbane apartment in 2019, try not to get scared and bury your head in the sand. For Queenslanders looking to buy new property, falling or steadying apartment prices in Brisbane might mean you pick up a bargain. And for owner-occupiers that have already bought a property — have faith that this flattening of the market won’t last forever. Investors need not worry about losing all their money: although short-term investment properties aren’t likely to make any overwhelming capital gains in the next few years, know that Queensland is the most likely state to yield positive results. 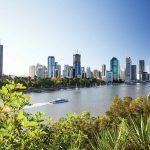 Looking at specific areas in the Sunshine State itself, the report predicts above-average growth in Brisbane CBD, as well as on the Gold Coast and the Sunshine Coast, so look to these areas if you’re looking to buy a new property this year.